(1992) Using Rhesus monkeys, the National Institute of Health is attempting to develop retro-viral free (Herpes-B free) monkeys because virus-carrying monkeys can throw off test results. The goal is to minimize inbreeding to insure a pure test breed. 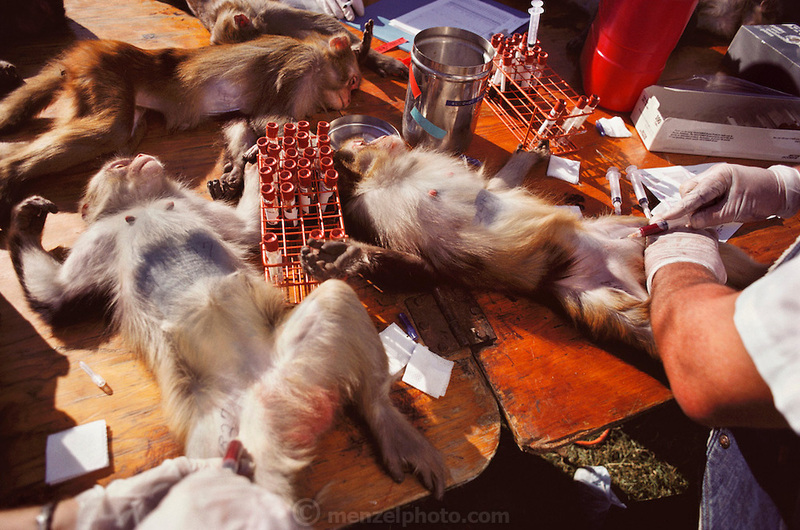 Human probes are being used to identify polymorphism in monkeys, and the monkeys' blood samples are DNA fingerprinted. Monkeys are moved among half-acre outdoor pens and other smaller cages thereby minimizing inbreeding. University of California Davis, Department of Anthropology. DNA Fingerprinting.